Here’s some celebrity news that really breaks our hearts. 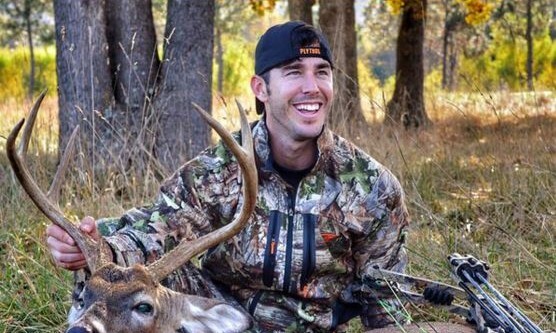 Craig Strickland has been missing following a hunting trip he took this past weekend. UsMagazine.com reports that his celebrity love Helen Strickland asked her Twitter followers for prayers. She is heartbroken about this news. The country singer was reported missing on Sunday with his friend Morland, who was sadly found dead. We are hoping for the best for this celebrity relationship. This celebrity news pulls at the heartstrings. What are some ways to cope with tragedy involving your partner? 1. Support system: Have a huge support system. Your family and friends will be there for you when you need them most, so don’t be afraid to call. If you don’t want to be alone, they will make the time to be with you. 2. Days off: Try not to over work yourself. Take some time off to relax and get your head straight. Tragedy can strike and things can become hectic, so breathe. 3. Stay positive: At the end of the day, positivity and hope goes a long way. Don’t become negative until something negative truly happens. Keep the spirit alive and hope that you will make it out of this tragedy together. What do you think are the best ways to cope when dealing with tragedy? Share below!